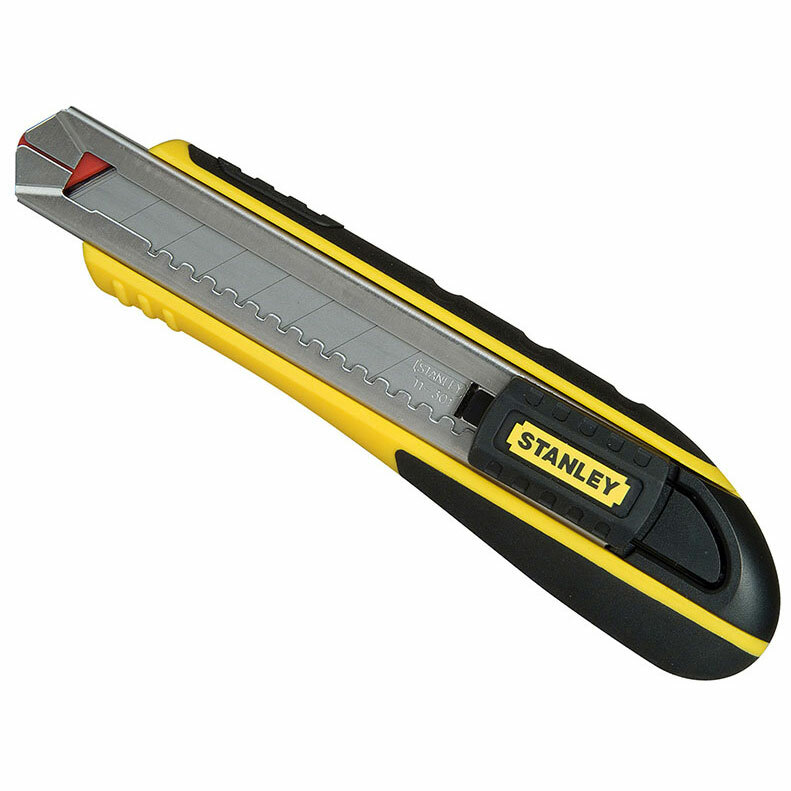 The Stanley FatMax snap-off knife features a blade wiper to remove excess debris and prolong the life of the blade. It also has a blade locking clamp and spare blades are automatically loaded. A removable blade snapper ensures faster and safer removal of a worn segment. The stainless steel cartridge can hold up to 6 blades. The body has a soft-grip, bi-material handle for comfort and control. If you require further information on our FatMax Snap-Off Knife 18mm give sales a call on 01942 720777 or email us on sales@nwtt.co.uk.